The future of the public relations industry lies in the hands of the youth and, with entries for the PRISM Awards drawing to a close, there’s only one thing on the minds of the judges: What opportunities will transformation bring to the youth in Africa? 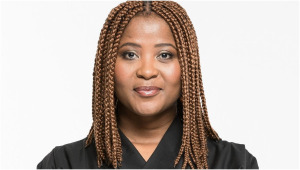 media update’s Nicole van Wyk chatted to Palesa Madumo, executive director of strategy at Vuma Reputation Management and co-convenor of the 2019 PRISM Awards, about the opportunities the awards offer the South African youth. Could you expand on the ways in which the awards are committed to empowering young people and transforming the PR industry? The role that the PRISM Awards has in transformation – whether it be of young people, SMMEs or previously disadvantaged people – is extremely important. While it may be an awards process, it is the most recognised industry award and has proven to propel people’s careers as well as attract new business for consultancies. Therefore, creating access to the PRISM Awards is imperative so that the work coming out of the [PR] sector, as well as the people awarded in it, reflects the characteristics and norms of our society as well as the values and aspirations of all South Africans. Are there any categories in particular aimed at honouring young industry professionals? There are two ways in which young people are honoured at the awards: The Best Up-and-coming Public Relations Professional Award, which is extremely competitive as the winner is selected from high-performing individuals from across a large number of consultancies, and, of course, the PRISM Young Judges initiative. This initiative is for under 30-year-old young professionals and students who have a proven record of how they have advanced themselves and the industry through their work. Both are extremely exciting ways to be honoured as a young person in the industry. What criteria are used to judge the Best Up-and-coming Public Relations Professional category? The entrant has to have two years’ experience and be employed in a consultancy, a corporate, an NGO, within government or any other organisation. Entrants also need to submit a 250 to 500-word motivation of measurable achievements with supporting documentation where applicable. As the PRISM Young judges founder, what, in your opinion, are the core values and function of the initiative? The values of PRISM Young Judges are based on the Marketing, Advertising and Communications Charter’s (MAC Charter) values of inclusivity and diversity. The purpose and function of it is aligned to the national imperative of opening doors that will create job opportunities for the youth and, importantly, investing in the development of skills that will grow and sustain our industry in the future. Why is it so important to provide a platform of this magnitude to the South African youth? President Cyril Ramaphosa, in his 2019 State of The Nation Address, appealed to all industry players to find ways in which to create productive economic activity and further work opportunities for the youth of South Africa by providing them with a real head start in the world of work. The PRISM Young Judges initiative does just that – it catapults young people into the judging environment where they will experience judging top-notch industry campaigns. Furthermore, each young judge this year will be placed with an agency lead as a mentor – this will be a life-changing experience. Lastly, who should enter the PRISM Awards? Any person, consultancy or organisation that has created strategic, measurable and engaging campaigns that have positively affected the reputation of their clients or brands should enter the awards. However, entrants need to be mindful of the fact that PR and communications has gone beyond AVEs and calls for campaigns to provide return on investment for clients and their stakeholders and make a positive impact on society. The 22nd annual PRISM Awards will be taking place on Sunday, 14 April. The awards will honour industry professionals who have successfully incorporated strategy, creativity and professionalism in their public relations campaigns over the 2018 period. For more information, visit www.prism-awards.co.za. Do you think that the youth is ready to make their mark in the PR industry? Share your thoughts with us in the comments section below. If you're interested in learning about how the PRISMs have incorporated the youth in their quest to embrace transformation, read here: Entries for PRISM Young Judges are now open.